This is a lovely ruby-red hue and has sweet cassis depths. Shake 20ml freshly squeezed pomegranate juice, 20ml crème de cassis and 20ml plain vodka with ice in a cocktail shaker and strain into a tall slender glass. Top up with 100ml chilled prosecco. 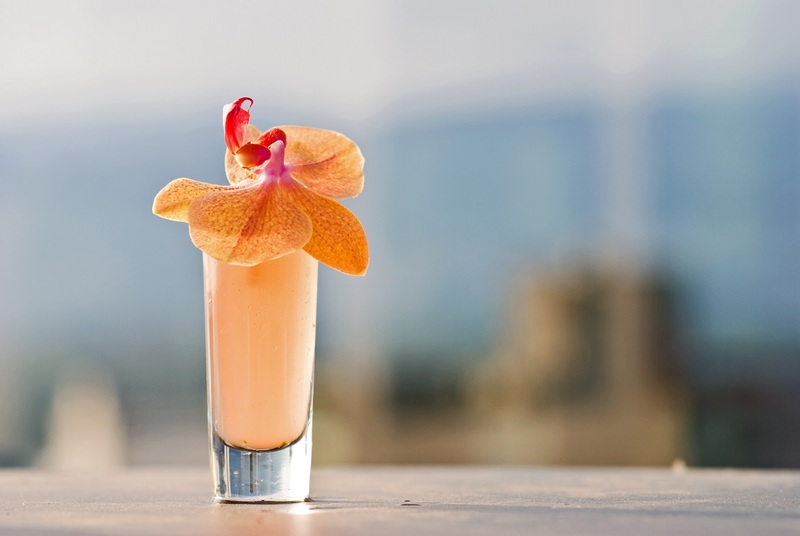 A mouthwatering, lip-smacking, tangy citrus froth. Pop one heaped teaspoon of lemon sorbet into the bottom of a tall flute and dash a few drops of lime cordial over it. 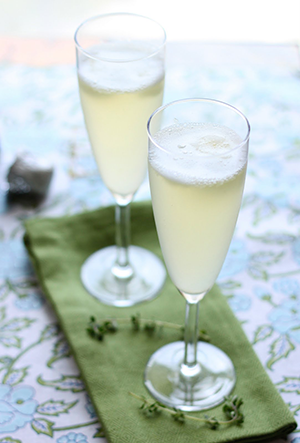 Top up with cold prosecco, stir quickly but gently, garnish with a slim quarter of a lemon slice and serve. 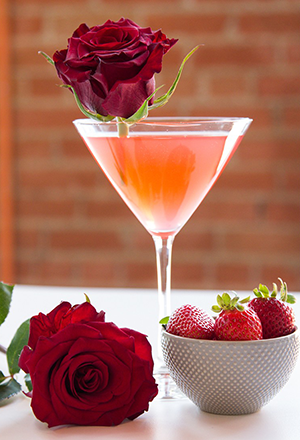 Invented by Sophie Dahl – fill a glass with Prosecco and pour one tablespoon of rose syrup down the inside of the glass so that it slides to the bottom. Decorate the rim of a Champagne flute by dipping it in a saucer of water then into a dish of one tablespoon caster sugar mixed with half a teaspoon of ground cinnamon. 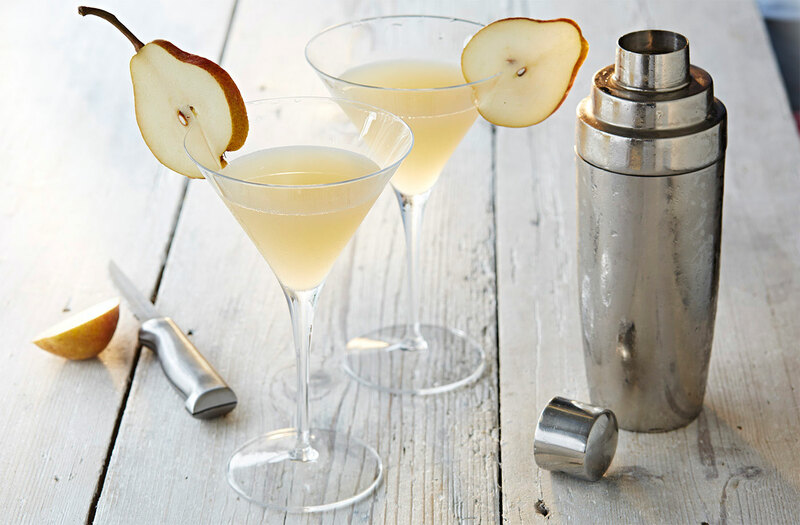 Add one tablespoon of ginger syrup from a jar of stem ginger into the glass then top with equal quantities of pear juice and Prosecco, garnish with a slice of stem ginger. 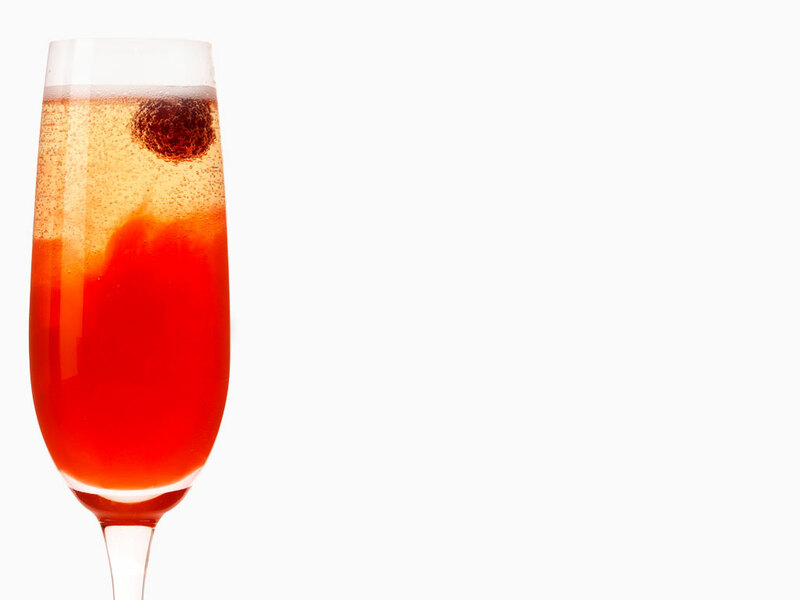 Pour one part Raspberry liqueur into a champagne flute then add one sprig of fresh basil. Top with four parts Prosecco and serve. Peel nectarines, cut them up and, using a fine mesh sieve, push through all the liquid. Do this for all nectarines until you end up with a bowl of finely sieved nectarine puree. 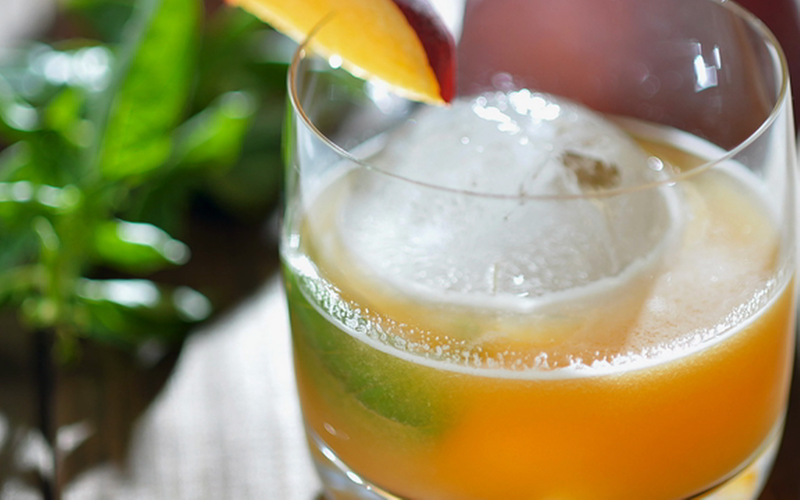 Using a spoon, spoon a big dollop into the bottom of your glass so it should be 1/3 nectarine puree and 2/3 prosecco. Carefully top with prosecco making sure it doesn’t over fizz. Sieving the nectarines through a fine mesh is the most important part, in order to get the freshest puree which makes the Nectarini so delicious.